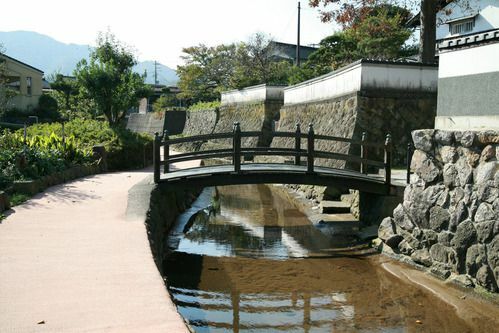 With the clear waters of the Ajiwara river flowing, this lane flows through a valley with traditional old houses and stone hedges, where sake and needlecraft traditions still live today. Following the stone wall downstream, you can see the lifestyle of the past. With each house featuring different masonry styles, you can see the evolution of buildings through time as you move upstream. In addition, there are old wells, bridges, water gods, boat docks, and much more. Please experience Japanese history.